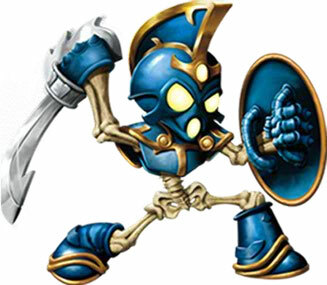 Isn't part of 100%-ing getting all the skylanders for that game? I probably won't be back for like a year. Huh, I didn't think Giants would be cheaper than Superchargers! Been out a lot longer, but I think more importantly, here in Australia at least Giants was really popular with lots of games and characters sold. Whereas Super Chargers was not popular and few games and characters were sold. So now looking at the secondhand market here there are HEAPS of ads for Giants characters but not as many for Super Chargers. Stands to reason when you consider how any characters from a now discontinued 6 year old game are floating around. I can see why Trap Team is where nearly 2 million people stopped with the franchise. Jesus Christ. Just wonder how much everything would be MSRP for all the games. Well, that's how much everything would cost NOW. Back when it came out it was cheaper. Most of that price is the light and dark adventure packs, which were cheaper back in 2014/2015. do we need traps to finish game 100% ? Villain Quests are a challenge star, so yes. Doesn't make me sad, 'cause high prices and consumerism aren't good yadayada, but it is kind of somber seeing even TT doesn't seem to have a lot of demand/rarity/people still hunting. I thought TT would have been the prime target for people looking back on the series after it ended. Maybe it never happened, maybe it already passed, maybe it never would. It's clearly Imaginators, there's not even the need for a calculation.